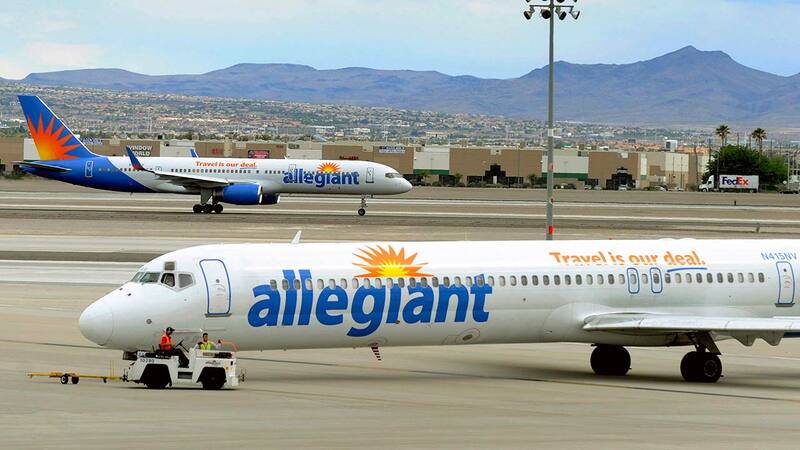 LAS VEGAS -- Allegiant Air is fighting to reassure travelers and protect its reputation after renewed questions about safety at the low-cost carrier. "The number of in-flight incidents that Allegiant has had speaks volumes, it is simply unacceptable," Alan Price, a former chief pilot for Delta Air Lines, told The Associated Press. In a memo to employees, CEO Maurice Gallagher and other executives said they were ready "to fight back" against the network. They said the story was based on outdated statistics - similar allegations were raised in 2016 by the Tampa Bay Times in Florida - and was prompted by a pilot who was fired after ordering an emergency evacuation in which some passengers were injured. The pilot is now suing the airline, and one of his paid experts was featured prominently in the "60 Minutes" broadcast.